Rinderzucht Steiermark, is a large operation located in Vorau, Austria, recently taken over the operative activities of the former parent associations as well as the Styrian Holstein Breeding Association. They have managed to create a competitive insemination company and focus on Simmental, Brown Swiss, Holstein, Pinzgauer, and Jersey breeds. They run 20 breeding cattle auctions and over 60 calf and cattle markets in all parts of Austria held annually to achieve this. 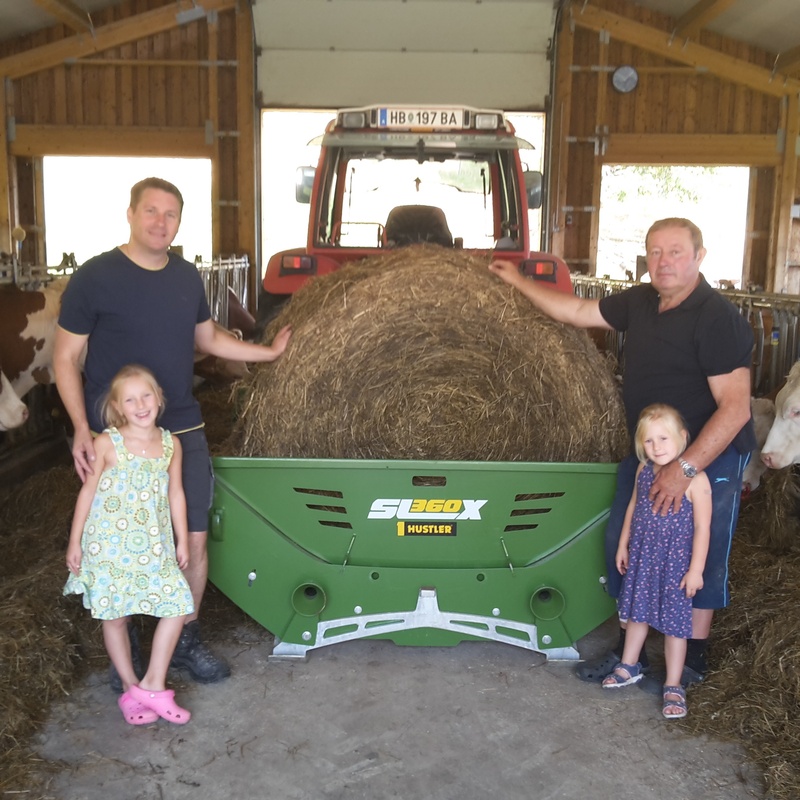 The acquisition of the Hustler Bale feeder SL360X from our accredited dealer, Soma who got involved with Reinhard when he started his search for a machine that would solve his bale feeding challenges. effect on breeding success and animal health." Have run the bale feeder now for some time, Reinhard is rapt with decision to choose Hustler. "Firstly, the feeding of round bales is greatly facilitated by the Hustler Bale Feeder, so that physical labour is practically eliminated. Secondly, it was possible to increase feed intake through the loose pattern of the feed out, which has had a positive effect on breeding success and animal health. The Hustler SL360X has been a very good investment in improving the quality of the product produced on our farm."